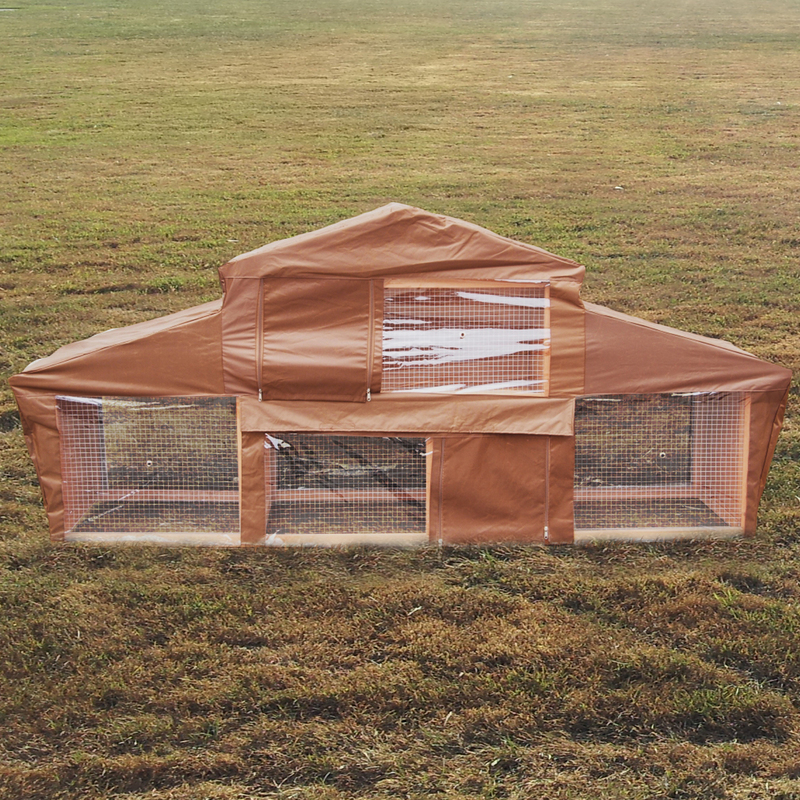 Durable and strong cover for the Pisces Rome Hutch. The cover comes in one complete piece to make it easier to fix. The hutch and run cover has clear plastic windows that cover the run, still allowing the light to flow through. There are small ventilation holes in the plastic windows allowing air to flow around both the hutch and run. 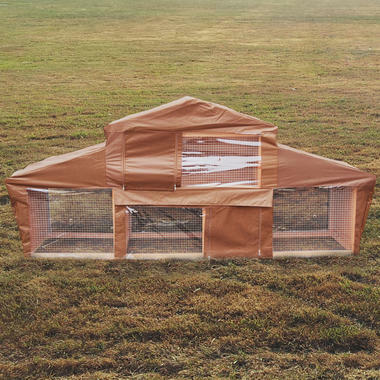 The cover is easy to install and ideal to extend the life of the hutch and keep out the weather.